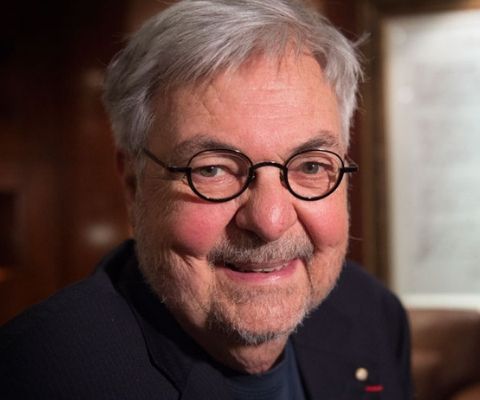 Michel Tremblay, the first Québécois author to use working-class French (joual) in his work, was awarded the Grand Prix de la Francophonie in 2018 for his significant contributions to maintaining and showcasing the French language. Considered a leading theatre figure in Quebec, Mr. Tremblay made his debut as a playwright with his work Les belles-soeurs, which premiered in August 1968 in Montreal. Though the play first scandalized audiences for its frank depiction of working- class women and its use of vernacular French, Les belles-soeurs is celebrated today for painting an accurate portrait of Quebec’s working-class in the sixties. Translated into several languages, Les belles-sœurs has been performed in multiple countries and has become a classic of Quebec theatre. Over the past 50 years, Mr. Tremblay has written a considerable number of plays, including À toi, pour toujours, ta Marie-Lou; Albertine, en cinq temps; Le vrai monde? ; and La maison suspendue. In addition, he was written novels such as the six-volume Chroniques du Plateau Mont-Royal and the nine-volume La diaspora des Desrosiers. His significant work also includes essays, musical comedies, screenplays and an opera. Regardless of the form he uses, Mr. Tremblay’s universe is peopled by ordinary women expressing their everyday struggles in joual. Over his storied career, Mr. Tremblay has received dozens of prestigious literary prizes, as well as honorary doctorates. Among his notable awards are the Gilles-Corbeil Prize, awarded every three years to recognize a Quebec writer’s body of work; the Molson Prize from the Canada Council for the Arts; and the Ordre des Arts et des Lettres de France. 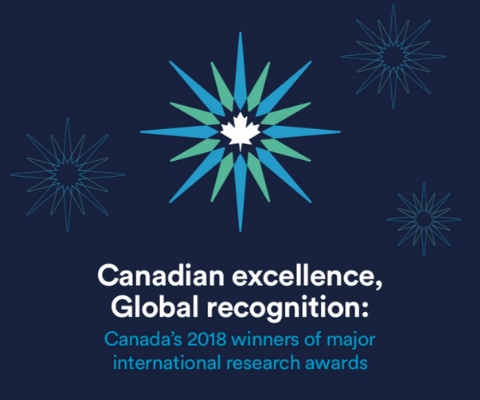 *Michel Tremblay is one of 17 Canadian winners of major international research awards in 2018 featured in the publication Canadian excellence, Global recognition: Canada’s 2018 winners of major international research awards.